Disney Channel and It’s A Laugh Productions have announced a new comedy Disney series called “Pack of Wolves”. The Production company has ordered a pilot for the new show and actors for the new Disney series will be happening very soon. The series will be done by 4 time Emmy Award winner Jay Kogen. “Pack of Wolves” will be written by Jason Ward. It’s a Laugh Productions, which produces most Disney Channel and Disney XD shows and sitcoms will also produce Wolves. “Pack of Wolves” is about a CIA agent on the run who ends up living with a family and their sons. It’s a Laugh Productions has launched the careers of such Disney stars as Selena Gomez, The Sprouse twins Cole and Dylan, Miley Cyrus and many others. Rumor has it that the entire cast is now including all the series regulars will be casting very soon including the adults in the series such as the father of the kids, Mr. Oppenheimer, an eccentric, smart, middle aged man. Casting Directors for Disney are now searching for child actors to play the 3 boys and extras, stand-ins and other recurring talent will be needed for the shows pilot episode. The show is casting now because filming is supposed to get underway in early 2012. Anyone interested in being cast for the show needs to submit your headshot and resume to casting directors or have your agent set an audition appointment. If you would like to be an extra on the show you will need to contact the extras casting company which is Central Casting in Los Angeles. You will need to contact Central casting to get on their books to be considered. If you are interested in recurring roles and principal actors, you will need to submit your information to the productions casting director. I would love to be in this show! I’m 12 and almost 13, have always loved the idea of fantasy! My name is Isabelle and I’m 5’3 with blue gray eyes. I live in Illinois but still would love to be considered. My hair is brown,very thick, as I’m told. I’m a good singer and actor. I have done both before. I wont disapoint if you would like to have me. If you would like to see what I look like, you can check out my instagram @teehee_100 thanks, bye. I would love to be in this show so badly. I am 11 years old making 12 this month and I would love to pursue my acting career! Hi! I want to be on this SO bad. I live in north Carolina, and I am nine years old. I have been in theater, and that was fun but, I think I am ready for this big step. Please vote, choose me. I have one sister named Lily. She has been in theater, too. Well, I am Ava Sydell, and I would like to get this SO bad. I would like to be in this show. them that I can do it. I really hope you pick me. p.s plz pick me. Hi my name is Taylor. I am 13 years old. I love to laugh. My mom said to me once that I would be great on Disney and that I am a great actress. Also I have blonde hair. I love to work on Disney. I have brown eyes. And l’m about 5’4. I have many sides of my self almost every kind of emotion. I live in Gray, Tennessee. My mailing address is (zip code 37604). I’d love work with the Disney family! I hope I get the role!!! I am would like to play a mom or grandma. 38 years old. I have a 16, 12, and 8 year old interested in acting. My name is Jada. I have watched disney forever and I like all tv shows they created. Hey my name is Sarah. I live in Shreveport, LA. I’m 13 and in 7th grade but I look around 14. I have long auburn colored hair and blue eyes. I’m about 5’4 and weigh 150 pounds. It would be my dream to be on this show. Thank you. I’m Marah Sandouk and I live in England.I am 15 years old. I act in front of people, family and usually for drama classes it was a great experience and I wanted to carry on acting. My parents never agreed with me doing drama for gcse. However, I want to prove to them that acting is not a dream for the lucky but for an individual like me.I would describe myself as,le creme de le creme because I motivate myself to do the best. I would love to be considered for a part. Thank you. Hi I’m Marcela and I love to act and sing. I love to be on this show. My dream is to be on this show. I would really like to be on this show. thank you. I’m Ty and I love to act and sing. I really think that I could be one of the cast members of this new show and I’m very confident in myself. I’m 12 about to turn 13. I’m Jessi. I love music. I play Guitar, Bass, Drums, and Piano when I was younger. I plan on playing music again. I’m a Black Belt in Karate. I’m in many Martial Arts class. I use to be in Cheer-leading and Gymnastics. I use to act in front of people; they were for school plays and Drama class. I love the Japanese culture. My nickname is Prodigy. I’m some what of a gamer. I love Techno, Electronic, Rock, and Metal music. I love scary movies. I hope you could consider me, it would be just wonderful. Also, I am a girl and I am 12 yrs old. My name is opal. I have black, curly, but usually straight brownish skin, not to dark. I am not too short. Eye color brown and I am moari african tongan portugese. I live in new zealand auckland mt wellington and I love watching Disney programmes. Watching disney shows can take the edge off busy lives, and gives you a chance to relax and be a kid. I’ve always wanted to do what I do best (professionally) sing, perform comedy and act. I think the writers of Disney channel are genius and I want to get an acting carrer started. Getting the expereince (not to mention getting paid) would be a dream come true! I’m 15 years old, blond and blued eyed although I never thought phsycial apperence was as important as natural talent, I know I can do a good job. Please send an e-mail for when disney is having auditions in new york. My name is Aranza Covarrubias. 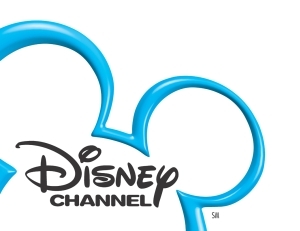 I am 12 years old and I love disney channel. Please any information you can give me, my dream is to work on Disney. I would love to work for y’awl. Acting is cool because you get to express yourself and start something new in life! I’m 13 yrs old, I’m a male and I’m 5’11”. I’m turning 14 in september. I’m very athletic and I can dance very well. My dreams are to become an actor. My name is Mytia Howes, I’m 12 years old and I’m 5″9. I am a very good singer. I have dark dark brown hair and brown eyes. I look like victoria justice and selena gomez. I would like to be on a disney xd show. Well my name is Javier. I have always wanted to become an actor since I was young. I would always pretend like if I was in my own show when I was a little kid. I really like music I can sing play 4 instruments. I am 5’9 and im 13 years old. I have Black hair and brown eyes. I also play sports like football. I am also funny,I can make my friends laugh all the time. My friend Sarah whos the same age as me. Would also want an opportunity like this. Shes pretty and she can act too. Shes soo good at acting and funny too. So if u want to pick us I would gladly like being on the show. I will be waiting for your response. Hi, I’m Dhorine. I live in Jacksonville, Fl and I am 15 years old. I’m 5’5 and I really wanted to be a disney actress. My inspirations are Selena Gomez and Demi Lovato. I’ve started acting at my school Paxon SAS and I really enjoy it. I’m a very hard worker and I always try my best. 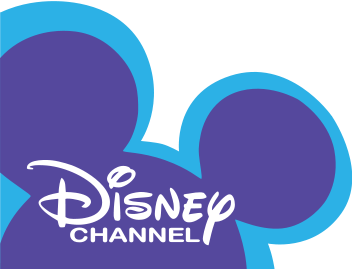 My favorite shows on disney are Good Luck Charlie and Jessie. I eventually want to become a singer and inspire other people to follow their dreams no matter what. Hi, my name is Aiyanna, I’m 9 years old and I live in Orlando. My only dream in life is to be a actor, is posted with disney channel. All of them inspire me. Hello, I am Brianna Flores, I live in Corpus Chrisit,TX i’m a sweet, loving, down-to-earth girl, I love meeting new people, I play tennis, I like to dance, and I love acting! When I was a little girl I knew instantly I wanted to be an actress I was so amazed how someone I don’t know could make me laugh,cry,smile,or be mad.. acting is truely beautiful and I know in high school people want to be doctors, nurses, teachers, but I always have and always will want to be an actress, and I hope to be able to follow my dreams wether its a main part in the show or a minor part. Just the opppertunity to be doing what I love would make my life complete. I hope I will be recieving an emai from you soon, I won’t let you down I will give it my all everyday, thank you for your time! Hi my name is Sydney. Everyone who knows me tells me I am a good singer.I am pretty sure I can act too.I love to sing,and think being on pack of wolves would be a great opportunity.I am going to be in my town theatre’s summer youth workshop.Please, think about giving me a shot to tryout.THANK YOU!! oh yea here’s a little more. i’m a A and B student i am in my schools theater club and i just did a play called love confusion. i love to make people laugh and mostly when they aren’t feeling that good or happy because i love to cheer people up. all i have to say is this is a really big oppertunity for me and i don’t wanna miss out on any chance i have. i’m on facebook too. hi i’m harley and i’m 11 years old. i really hope i’m able to get a part because acting to me is fun and creative and it is one of my dreams to become an actress someday. Hi my name eugene welch and i just wanted to say that i am 4’9 and i have love acting and singing every since i was 3 and what i am tring to say is that if i get the chance to act on ” pack of wolves ” i will be very greatfull that you chose me to be an actor on your show. Thank you taking time out of your day to reed my comment. my name is alexndra i am 12 years old i am 5’0 i act,sing and dance it is my life. i have been singing since i was 5 years old and danceing and acting since i was 6.i would really love to audition for this show. When I was born,in Brazil, me and my family were Very poor. we owned almost nothing. My uncle lived in California for a long time so my dad also wanted to go so we can earn something. He literally sold everything we had and put all his faith in God so that we can go live with my uncle. And we made it. When we got there I was 9 months, I grew up there until I was 10 years.By then my family and I got 100% better! we earned alot. after that, when I was 10, we went back to my hometown and lived there untill today. And today I am 12 years and a half. I have one 4yearold brother and one 14yearold sister. I speak english,portuguese, and spanish. Not to be cheesey or anything but I really do think I have the potenciol to do this. Please replay and ill be waiting hopefully for a positive answer. hi my name is daylin fredericks i am 13 and i live in cape town south africa and i have black hair and dark brown eyes i have been in many commercials and in my free time i wright screenplays and practice my acting, it is my dream and ambition to become a disney acter, my friends and family say that i am a exellent actor and that i should percuide my dream thank you for taking the time to read this. Hi my name is Leaha, I really would like to be on disney channel.I have wanted to do it since I was 6 if I got to I would really be happy. I am 10 yrs. old. hi, my name is daylin fredericks I am 13 and acting is one of my main goals I live in cape town south africa, I have black hair dark brown eyes and I was cast in many south african commercials nationwide all my friends family and neighbours think that i am a great acter please take the time to read this. Hi my name is Trina and I am 10 years old. I love singing and acting. My friends tell how good I am at singing and have made it in ALL of my school talent shows. I also make many many movies with my family and friends. I am a strait A student with a lot of potential, and I think Pack of Wolves would be a great opportunity for me. Hi my name is Kora and I’m 11 years old. I love acting and singing. I would love to become an actress. I have red hair and green eyes. hi my name is caitlyn. im 12 years old and i love acting. i am currently taking acting classes and am getting a talent agent this christmas. im 5ft. 2in. and i have blonde hair and blue eyes. this would be a big chance for me and my acting career. i have been intrested in acting for a long time. this would mean alot to me. Hello my name is Marissa and I’m 15 years old. I graduated from a modeling and acting school named Barbizon last year and I attended a convention in LA called IMTA. I absolutely love acting and I cant wait to get my career started!